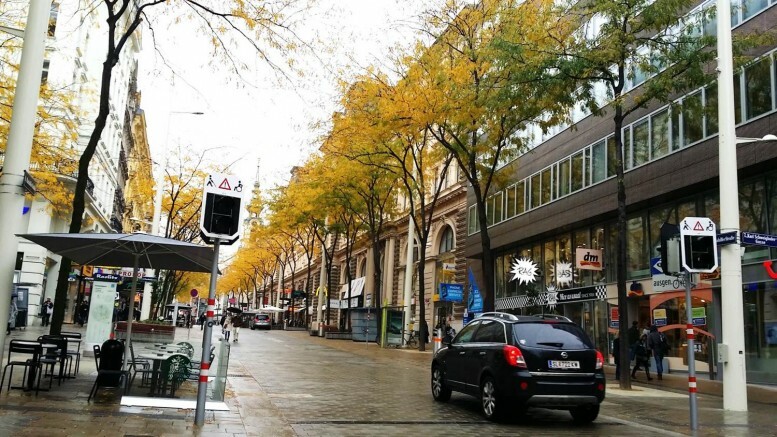 Public space in the city of Vienna is shared between pedestrians and vehicles. Ten minutes is all it takes to walk from Karlsplatz, Vienna’s main transport hub, to Hofburg Palace, the former imperial Hapsburg residence and one of the city’s most visited tourist sites. It takes roughly the same time to get to the MuseumsQuartier arts enclave. In a wider 15-minute radius there is the St Stephen’s Cathedral, the Kunsthistorisches Museum, City Hall, and a list of other popular tourist attractions, all of which are easy to get to on foot. The landmarks make for impressive sights but strolling along the charming cobblestone paths and wide open pavements of the old, majestic city is an experience in and of itself. Traffic jams are rare and the air is breathable. Vienna’s ease of mobility, particularly in walking, has without a doubt been one of many reasons the Austrian capital has consistently topped international surveys on quality of life. The Economist Intelligence Unit’s’s Global Livability Survey placed Vienna second out of 140 cities for the fifth year in a row last year. Mercer’s Quality of Living Study has ranked Vienna first out of 230 cities for six years straight. Striving to meet the European Union’s greenhouse gas reduction targets, Vienna was simultaneously able to set raising the quality of life as a key development goal, spearheaded by government bodies such as Smart City Wien and the Mobility Agency, and honing in on issues such as energy and mobility, infrastructure, urban development and architecture, and promoting social equilibrium. Early on, the city set it sights on reducing individual motorised traffic on roads, encouraging low-carbon transport, cycling, walking and greater use of public transport. Increase parking fees to limit the use of vehicles in streets. 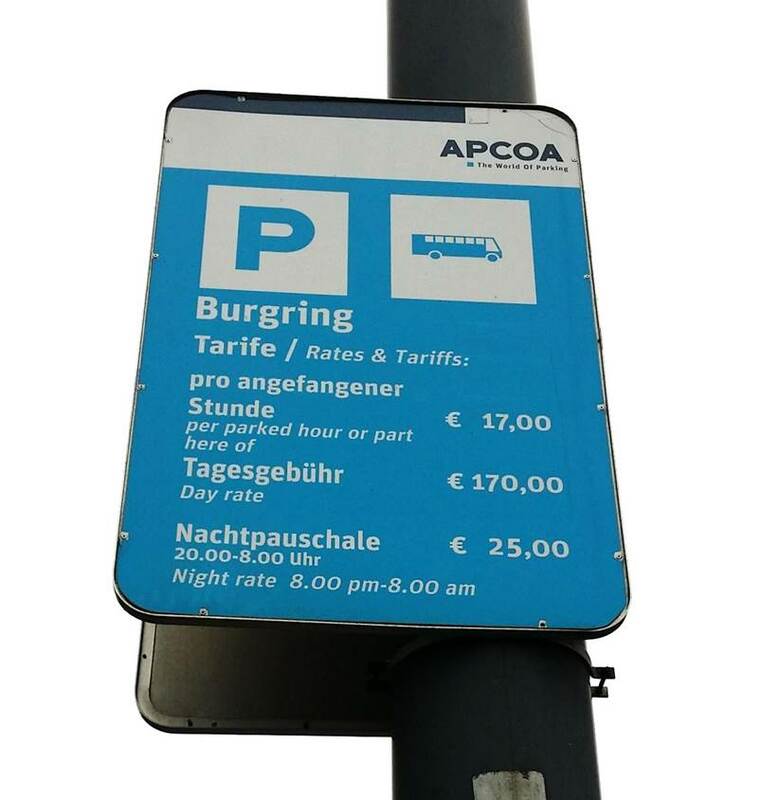 To tackle private car use, the municipal government developed a unique parking management system, which involved increasing parking fees, setting up zones for short-term parking and imposing limits on parking times. Drivers purchase “parking stickers” for their respective district, which designates where they are entitled to park. The number of public roadside parking spots has been reduced to prod vehicle owners into using private commercial parking. For those less inclined to getting around on foot, there is the extensive tram network and the subway. 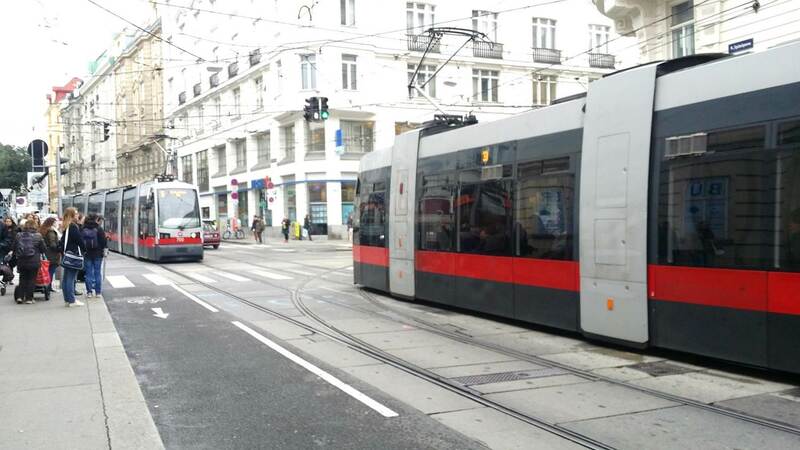 Significant investments have been made to make public transport more appealing to the Viennese public. These include significant expansions to the underground rail, tram and bus networks and efforts to make connections between them more efficient. In the 1990s, the tram fleet was upgraded with low-floor designs to enhance accessibility. Real-time timetabling for buses and trams have been in use for years (while Hong Kong’s bus operators have just begun to experiment with this). A fare union means a single ticket can be used on all means of public transport in an area be it bus, tram or train, greatly enhancing the fluidity of transit. Low-floor designs for trams are introduced to enhance accessibility. To promote a zero-emissions culture, the government extended the city’s web of cycling paths from 895 kilometres of track in 2002 to its current 1,300 kilometres. Building owners and businesses are granted generous subsidies to provide bicycle parking spaces and facilities. The number of bike racks grew from 9,588 in 2010 to 36,917 in 2014. A public bike rental system, Citybike, was launched in 2003, allowing everyone to get around on two wheels at little to no cost. Over 1,500 bikes are now available in 121 spots across the city and the number of registered users has reached 480,000. Policy commitments beget real, tangible results. Usage of private cars dropped from 36 percent of all journeys made in 2001 to 27 percent in 2012. The city government hopes to bring this figure down to 20 per cent by 2025. While road transport is often at the core of Hong Kong development plans, it is the pedestrian rather than the automobile that has been at the heart of Viennese urban and transport planning. Comparing Hong Kong to Vienna may be akin to comparing an apple to an orange – the Special Administrative Region’s geography and population density is vastly different from Vienna’s – but a change in urban design ethos could give Hong Kong a much needed boost in quality of life. It already blessed with an acclaimed public transport system and effective public services. Most of the world has been moving ahead with policies and plans for pedestrianisation and walkability, but Hong Kong is clearly lagging behind. The number of private cars continues to grow relentlessly. In the last 10 years, the number of private cars increased from 390,000 to 570,000, far outpacing the growth in new roads and the seven percent growth in population. In most urban areas, pedestrians are often forced onto narrow pavements, footbridges, underground subways or beside congested roads inhaling noxious roadside air pollution. Civic Exchange believes Hong Kong can take a page out of Vienna’s book to develop a new and comprehensive transport development strategy, which incorporates elements of walking, cycling and efficient public transportation interchange. This will require not only closer cooperation between policy bureaus and public transport operators, but a clear vision, ambitious targets and solid determination. Join Civic Exchange and Walk21 for further discussions at the 17th international Walk21 conference on 3-7 October 2016. Learn what world-class cities are doing and what world-renowned scholars, civil society groups and top officials think about “people first” planning. Early bird pricing ends 30 June. This is the first of a series of articles by Civic Exchange, an independent think-tank, in its joint programme with Walk21 for the 17th international Walk21 conference scheduled for October 3 to 7, 2016. You may visit www.walk21hk.com for more details and registration. Be the first to comment on "Vienna walks the walk for quality living"